While staying in Rossville with John & Steven, there was very little to do in the actual town of Rossville. 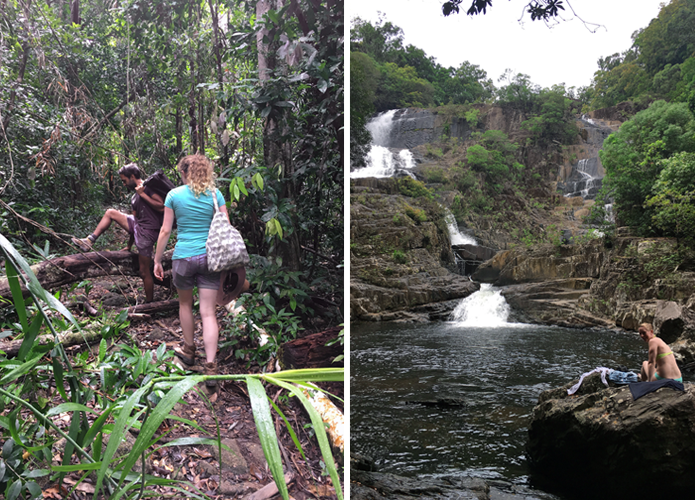 Most of our excursions were north of the farm in Cooktown. However, one gem which Rossville can claim is Home Rule Falls. 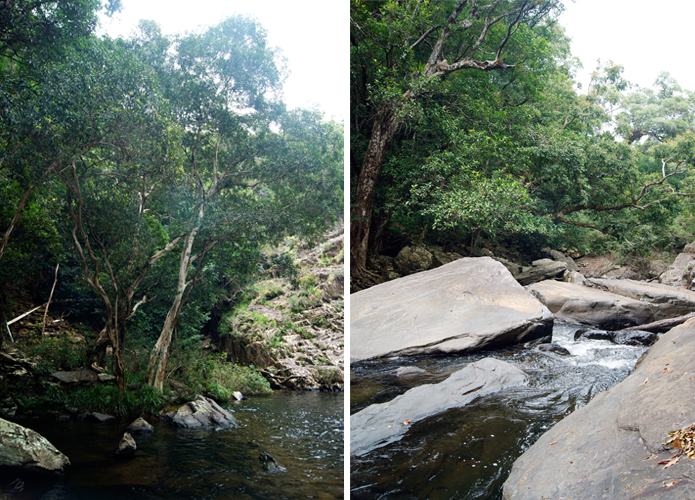 Home Rule Rainforest Lodge is a communal lodge and campground that sits on Wallaby Creek, a prized freshwater creek. In addition to the creek, Home Rule Falls and Cedar Bay can be accessed from the lodge's property. Lucky for us, the owners are fine with travelers stopping by for a hike up to the falls or trips to the bay. For either destination, be prepared for a hike. 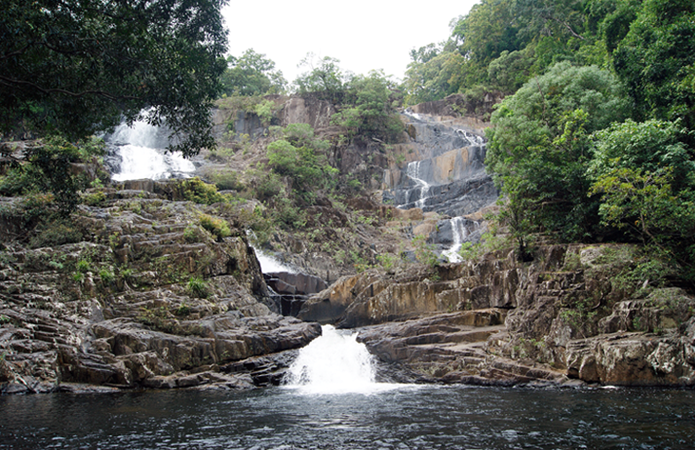 The falls are 35-45 minutes from the homestead, and you'll be climbing up rocks and over tree trunks. It's definitely manageable but you'll work up a sweat. From the Home Rule Lodge, you'll see a path leading off the campground clearing. Once you start walking down the cleared path, you'll see signs posted on the trees for the hiking trail. You will definitely encounter the infamous Wait-a-While vines, the local tree acacia cuspidifolia. The tree grows vines with hooked spines and they will tangle you up. You'll without a doubt be waiting a while why you try to untangle the thorns from your clothing and hair! 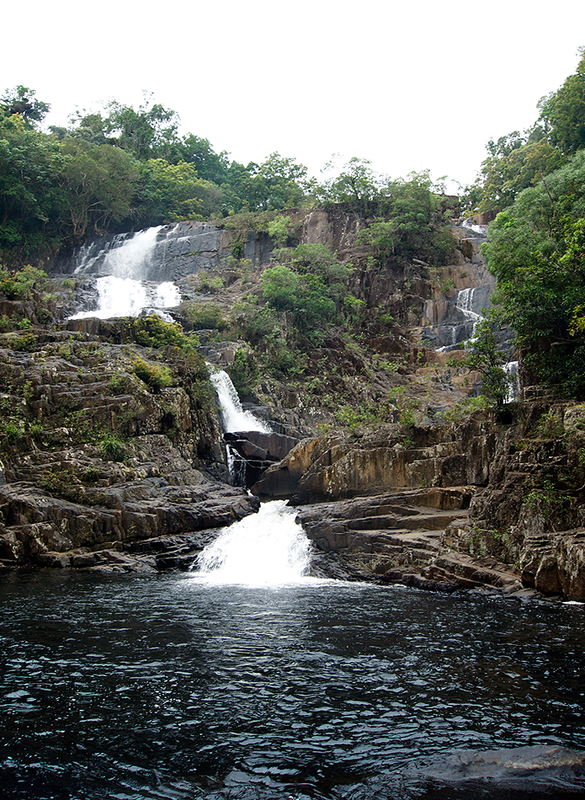 Once you make it to the falls you'll be welcomed by a big open pool and you'll be ready to jump right in. The favorite part of Home Rule Falls is the cascade pools above the main pool which you can access. 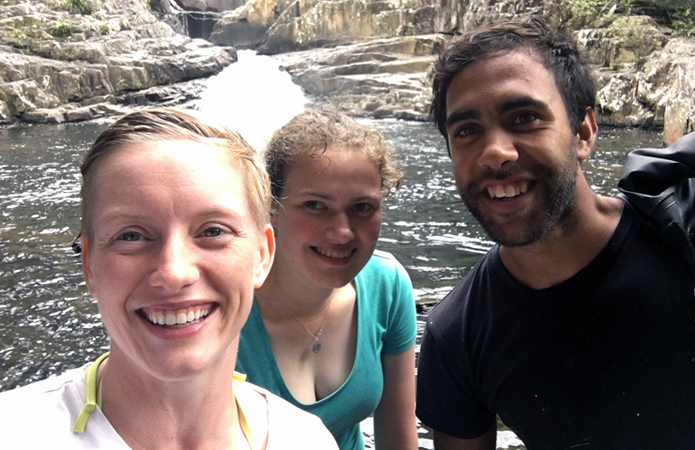 We climbed up the rocks on the right side of the falls so we could dangle our feet into the smaller pools created by water erosion. I would have loved to have climbed in completely, but there was no way to determine how strong the current was and whether or not I'd be pulled down the waterfall drop - I'm not a total idiot people! Safety first. Speaking of safety - a heads up for anyone who does make it to Home Rule, when swimming we encountered several little crabs that were nipping at our bums and feet. So I don't recommend sitting on the rocks which are submerged! 😂 And beware the rocks are slippery! I slipped off the big rock pictured above just after I snapped that photo. I had to hike back with a bloody foot and a limp, c'est la vie. Post swim and ready to hike back. Water flows right out to Wallaby Creek.